With just one exceptional ingredient, Ko & Humble Passion Fruit Seed Oil has been the No. 1 choice for healing my skin after some funky skin irritation. 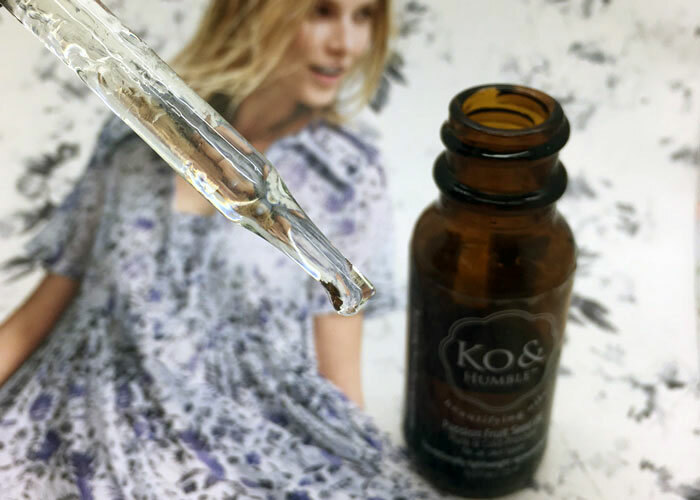 Imported from Brazil, Ko & Humble’s Passion Fruit Seed Oil is completely unrefined and certified cruelty-free. High in vitamin C, carotenoids and polyphenols, this oil offers brightening and protection from the elements without feeling heavy or overpowering the senses. The neutral, slightly nutty scent blends well with other products and fades quickly, promising not to bother even the most sensitive nose. Earlier this year, my face erupted in a mass of angry red spots and tiny flesh-colored bumps. Most likely due to a minor fungal issue — fed by my addiction to over-applying facial oil — I had no choice but to eliminate all oils and simplify my skincare regimen. This meant simple creams and zero oils in my routine in order to allow my face to calm down and allow me to relearn what product types and ingredients are compatible with my combination, acne-prone skin. Ko & Humble’s founder, Kate, is another woman with sensitive, combination, acne-prone skin. Out of her entire, well-edited line, she personally recommended Passion Fruit Seed Oil for me because of how it calmed her own irritable skin. After three months of product detox, I slowly added oils back into my regimen — starting with Ko & Humble Passion Fruit Seed Oil. I chose to only use facial oil during the day and decided to prioritize luxurious, linoleic acid-rich oils designed for acne-prone, combination skin. The lightest of beauty oils, passionfruit seed oil (also know as maracuja) absorbs instantly and leaves behind zero residue. That’s only, of course, if you’re committed to only applying absolutely what you need. For my skin, that’s just 1-3 drops massaged into toned, damp skin or 1 drop mixed into a dollop of oil-free cream or gel. Even at the highest number of drops, my skin never felt greasy or looked shiny. I stayed true to this skin prescription for more than three months (a lifetime in beauty blogger years!) and experienced the joy of a streamlined routine that put my skin health first. Passionfruit seed oil is a game-changer for my skin, and I have Ko & Humble to thank for re-introducing me to the simple luxury of single-ingredient products. If you’re in a skin funk, or experiencing bad skin behavior, take a step back and streamline your routine. Whether or not passionfruit seed oil will work for you is dependent on your skin type and needs. But, the bigger lesson here is that quality and thoughtfulness in your skincare routine and product choices will always win over complicated formulations that may not be compatible with your skin. What popular ingredients or products just don’t cut it for your skin? What single-ingredient products do you love? Have you tried Ko & Humble or passionfruit seed oil? Tell me in the comments!